One of the biggest SBMPTN TRY OUT EVENT EVER! 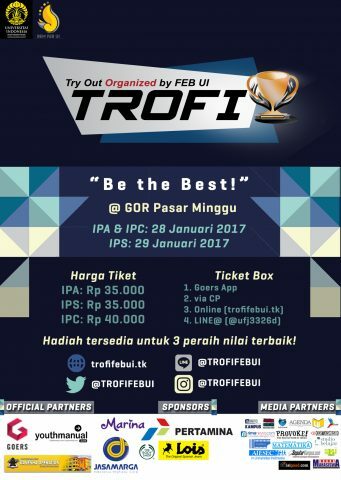 Calling all of PTN fighters, TROFI is back to challenge YOU! Are you ready to face the test? Do you have what it takes to pass SBMPTN? Want to prove that you’re the #BEST? What are you waiting for? Get your tickets NOW!